Through its stimulating and creative culture, the Interdisciplinary School of Health Sciences educates students on how to contribute to the promotion and improvement of the health and wellbeing of individuals and of populations. The interdisciplinary approach to the basics of health sciences and to the multiple factors and interrelationships of illnesses allows students and researchers to discover innovative ways to examine complex health problems at all stages of life. The School has expertise in both quantitative and qualitative methodologies in activities ranging from biological mechanisms to health status and the psychosocial and environmental determinants of health. Areas of research focus include aging, bioscience of disease, health technologies, and reproductive health. 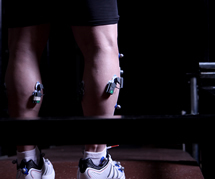 The School of Human Kinetics offers a rich academic experience through inspired teaching and internationally recognized research in two complementary areas: physical activity and health, and sports and society. This approach provides students the knowledge, the skills and the techniques required to play a leading role in maintaining and improving human movement, policies and positive lifestyle behaviours. 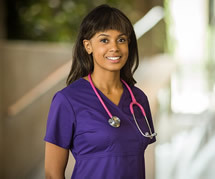 The School of Nursing is a vibrant research environment that prepares the next generation of nurses to offer quality care, to assume leadership roles within the health care system, and to contribute to the advancement of knowledge. The School is committed to making a distinctive contribution to nursing through excellence in education, research, and community engagement to promote individual and collective health and wellbeing. 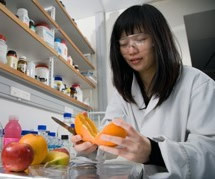 The School of Nutrition Sciences provides French‑language practical training in stimulating settings to enable bilingual students to make a powerful contribution to the body of knowledge in nutrition sciences. Accredited by the Partnership for Dietetic Education and Practice of Canada, the nutrition program prepares students to write the Canadian Dietetic Registration Examination. Our researchers have expertise in a broad range of areas related to food and nutrition across the lifespan, from the impact of maternal and infant nutrition on development to how diet influences the development of chronic diseases later in life. 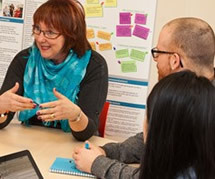 Offering professional master’s programs in audiology, occupational therapy, speech-language pathology and physiotherapy, the School of Rehabilitation Sciences educates bilingual healthcare professionals to meet the needs of francophone communities in Ontario and within the country's bilingual and multicultural context. Thus, our students must be bilingual since our courses are in French but clinical placements occur in bilingual settings. Within the School, expert research fall within four main areas: knowledge transfer, cognition and motor skills, social participation and interaction with the environment.